If you manage people it’s worthwhile to review how you’re doing now and again. 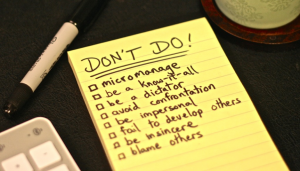 The responsibility for managing people often sits on top of a manager’s other core objectives, and it’s surprising how few make time to hold up a mirror and do an honest review of how they are managing their team. Give people the opportunity to think for themselves. As a manager you might be tempted to demonstrate your acumen by continually giving people the solution and finding the answer for them. This builds a culture of dependency. Instead, encourage people to come up with their own solutions and ideas. When they ask you for guidance, ask them what they think is the best way to approach an issue. Done consistently, this approach builds a culture of empowerment where people feel able to suggest new ideas and will come forward with solutions of their own, freeing up your time to focus on other things. One of the most common complaints people have about their manager is that they don’t feel recognised for the work they do. When we ask them what they mean by this it’s usually to do with a lack of praise or recognition. Research done by Barbara Fredrickson, Professor of Psychology at the University of North Carolina, shows a strong correlation between individuals who receive positive feedback and their levels of personal resilience. In the current climate of uncertainty and volatility, resilience is a key skill to build in order to help people cope during periods of change. So why not look out for people doing something well and give them the praise and recognition they deserve? In a fast-moving world it’s vital that people’s skills and knowledge remain relevant for the work they do. A lack of development opportunities can be a sure-fire way to switch people off. Attending a course or workshop is a good way for people to learn new things and gain insight but should never be relied on in isolation. You get better results when you combine this with giving people the right experiences to let them practise and build their skills and knowledge, e.g. through project work, additional responsibilities or secondments. Encourage them to seek out individuals who can provide them with guidance or a different way of thinking, i.e. working with a mentor, coach or joining professional forums to exchange ideas with professional peer groups. 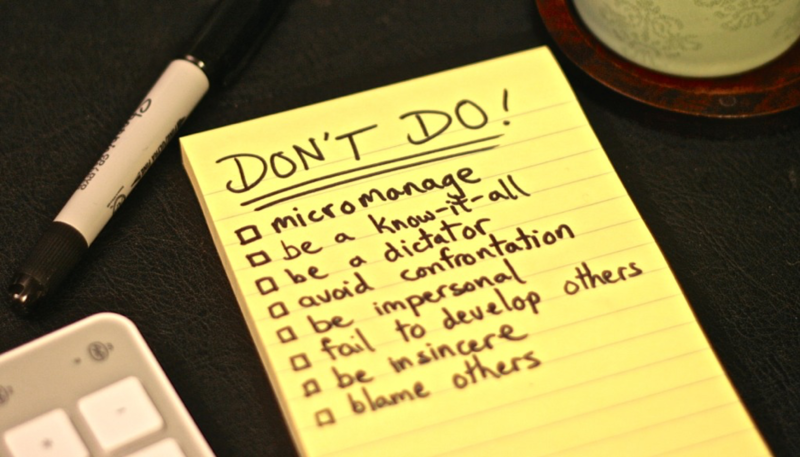 Now that we’re a month into 2019 take stock of how you’re managing people and make some resolutions to ensure you get the best out of your team.